A nature reserve near Boston is inviting visitors for a walk with the warden next Saturday, May 19. 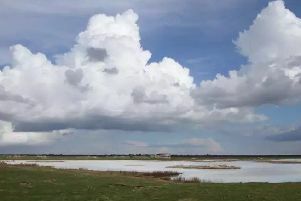 RSPB Frampton Marsh invite you for a five-mile walk, starting at 6am. It is expected to finish at about 10am. Visitors can join the warden on his monthly bird count. Precise details may vary, and confirmation will be given on booking. It is priced at £25 per adult, with a 20 per cent discount for members. Booking for the event is imperative. Call 01205 724678 to secure your place.